This national park is considered to be one of the most beautiful in the country. It is a combination of a paradisiacal beach of crystalline waters with coral reefs, bordered by abundant vegetation and the natural captivations of the tropical humid forest. Its beaches are counted among the best of the country, where the snorkeling and surfing are very popular. 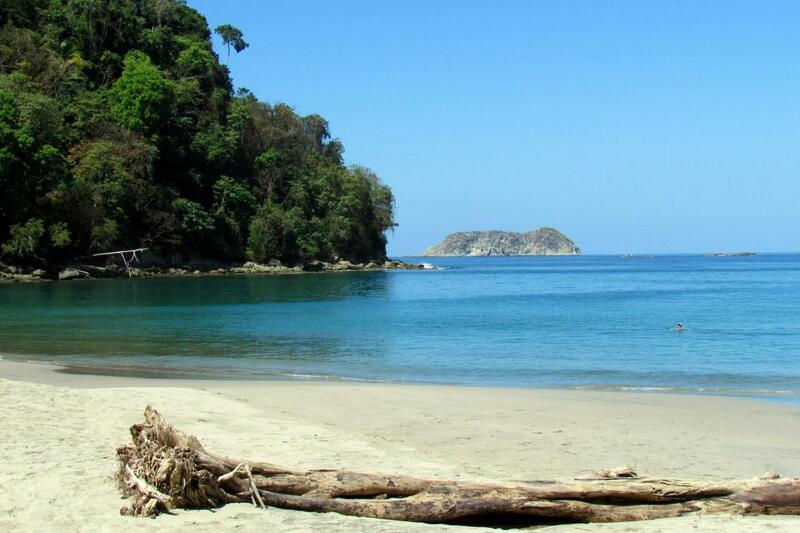 On the way to Manuel Antonio along the coastal line, you will cross plantations of African palm and picturesque villages along the Pacific coast until you reach the port of Quepos a few minutes after the National Park. Upon our arrival we will hike to the park, crossing a creek to access the park, since this park is closed to vehicles. Once at the park, you can simply enjoy the beach, tan or take a nature walk though the park’s trails, which will allow you to observe the abundant flora and fauna of the park. You will see several species of monkeys, iguanas, birds, and if you’re lucky, the three to ee sloth. One of the trails borders Cathedral Point from which the sight of the park and the sea is spectacular. Includes: Transportation, guide, snack, lunch and entrance fee to national park.